Falvey gives Twins fans clarification on the lack of spending. All offseason the Twins fan base has been waiting for the Twins to go out and spend more money on pitching. After they acquired three potentially high quality bats, the biggest holes on this twins team are yet to be filled. There are two obvious holes in the bullpen as well as an unsure spot in the rotation. Most fans would’ve liked literally anyone other than Martin Perez for $3.5 million. Fans and reporters had the chance to ask Falvey some questions during Twinsfest, so what did he say? First of all, to get it off the table, Falvey was asked about the possibility of the Bryce Harper or Manny Machado rumors being true. His response to that question was “don’t believe everything you hear on the internet.” Well I sort of thought this to be the truth but it still hurts to hear him say it. When being asked about whether or not more acquisitions were coming, there would be mostly vague answers such as “We’re expecting January and February will both have conversations for us, but we’re excited about what we’ve added so far.” To me he’s saying they are open to signing players but he doesn’t really think there will be any more big players signed to the Twins. He also said something along the lines of they will not be adding any major impact free agents because most of them are “a thing of the past” and they are currently looking at their younger players for the future. Another opinion of rom Falvey is the time to spend big is when you are the clear favorites to win a division, not when you are in an on the fringe place like the Twins. The Twins definitely need to be looking at adding more I think. The Twins and Falvey could just be saying all this because that’s what GMs do and they’re actually targeting some players. It happened last year with Lance Lynn and Logan Morrison after the Twins seemed to be done. I feel like if a reliever falls into the twins hands at a good price for one year, they will take the deal. Some big name players still on the market would be Dallas Keuchel, Craig Kimbrel and a few relievers including an underrated Nick Vincent. I don’t see them adding either Keuchel or Kimbrel but an impact reliever would definitely be possible. There are also some trade opportunities that I will get into on a later date after some more research, but one idea thrown out there was Alex Kirilloff for Marlins catcher J.T. Realmuto. I put a poll on my Twitter (@EverydayTwins) about a Realmuto Kirilloff trade so go vote there. Thank you for reading my recap on Falvey and more free agent news, I would love to do more interactive articles with fans, so go visit my Twitter. (@EverydayTwins) If you enjoyed please leave a like and share with your friends. If you disagree or have any questions please leave a comment or ask me on Twitter. 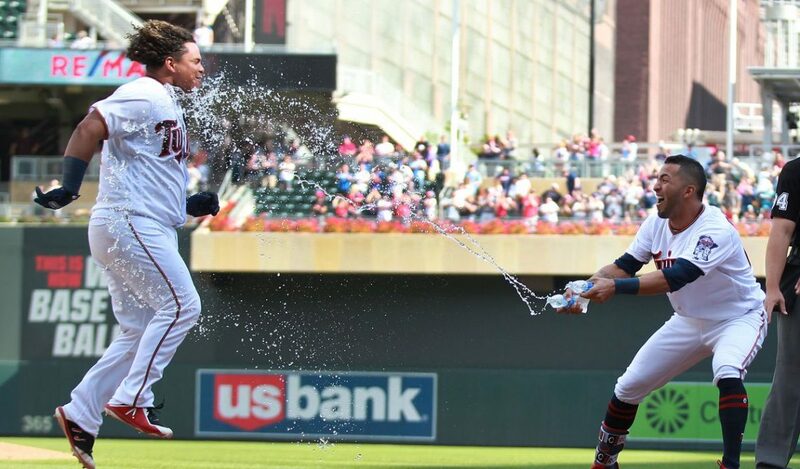 Also, The Twins will win the AL central. The free agent signing Twins fans are forgetting about.